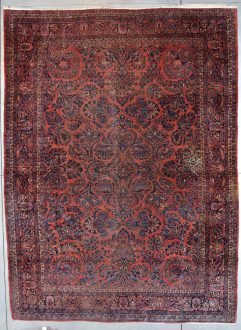 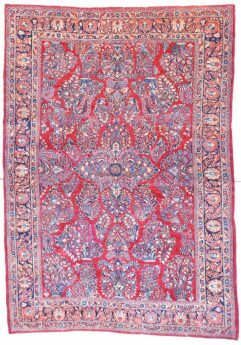 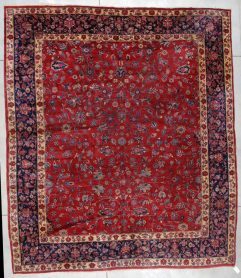 This circa 1930 Kerman Persian Oriental Rug measures 4′ x 7′. 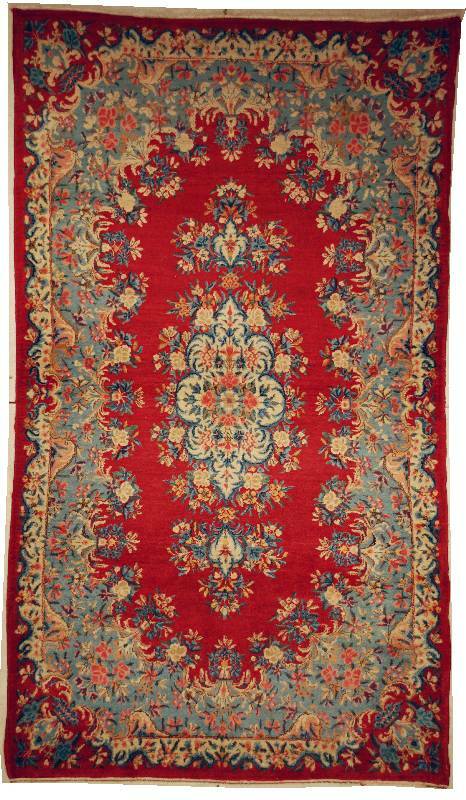 It has a red field with a Wedgewood blue border and an ivory medallion. 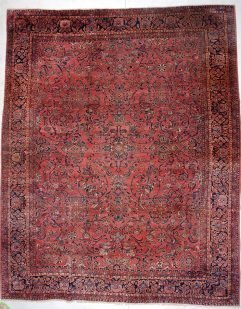 The buyer pays the shipping with insurance of $75.00.